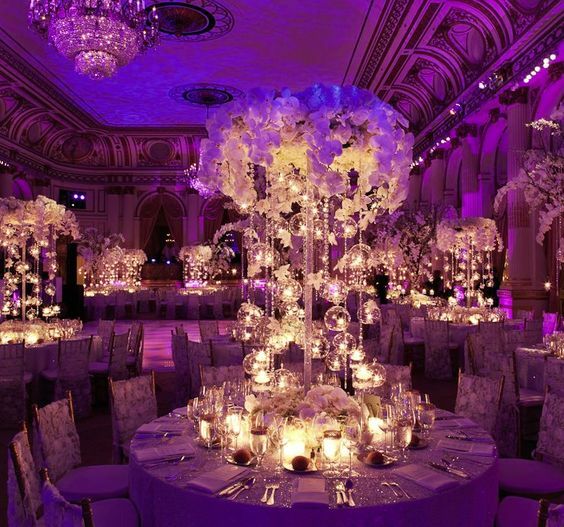 In the past, weddings were simpler, with limited choices making the day relatively easy to plan. Today’s couples have a lot more to consider when planning their weddings, they want to showcase who they are, as well as creating a fun experience for guests. And they definitely don’t want to look dated – ever! No two weddings are the same. 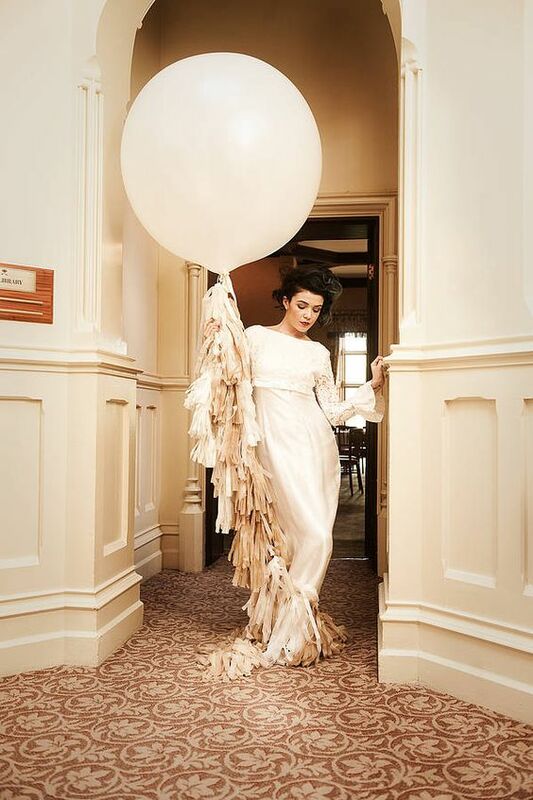 Each couple will have their own styles and personalities to express throughout their special day, in order to entertain their guests whilst keeping up with the latest trends of the year! Pantone’s Colour of the Year 2018 is Ultra Violet is described as showing ‘originality’ and ‘visionary thinking’ and forward looking. This regal purple packs a punch and is perfect for experimenting with in your theming. Our caterers, Create, have picked out some of the top trends of 2018 to give you some inspiration. Modern and minimalist is a wedding trend for 2018, from venues to florals and even the dress. Strong geometrics that focus on form and sleek lines, paired with accents of natural flourishes. For the venue, it’s all about bright yet elegant spaces, using natural light and keeping things simple to showcase those striking accents. We’ll also see couples leaning towards smaller, more intimate weddings, decreasing the guest list to their nearest and dearest to ensure they share their special day with those who they genuinely care about. Gone are the days of inviting your father’s work colleagues, allowing couples to spend more of the finer details rather than feeding the masses. 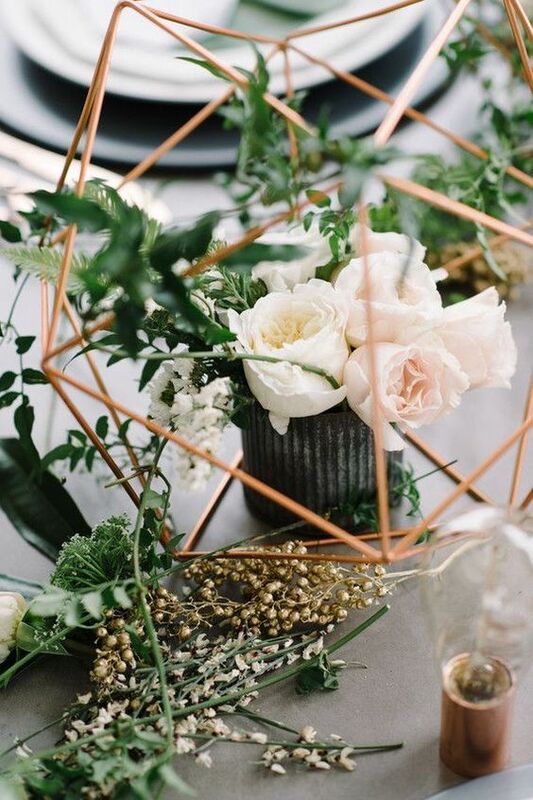 Centre pieces using geometric shapes with natural features and soft tones in hexagonal terrariums enhanced with copper edges brings a minimalist and fresh look, complemented with rustic and vintage elements to the room. For those wanting a rustic feel, ‘woodsy’ textures can be balanced well with transparent table places incorporating touches Pantones colour of the year for 2018. Small wooden details can be incorporated to bring a natural feel to a modern venue in small details such as seating cards and food platters. 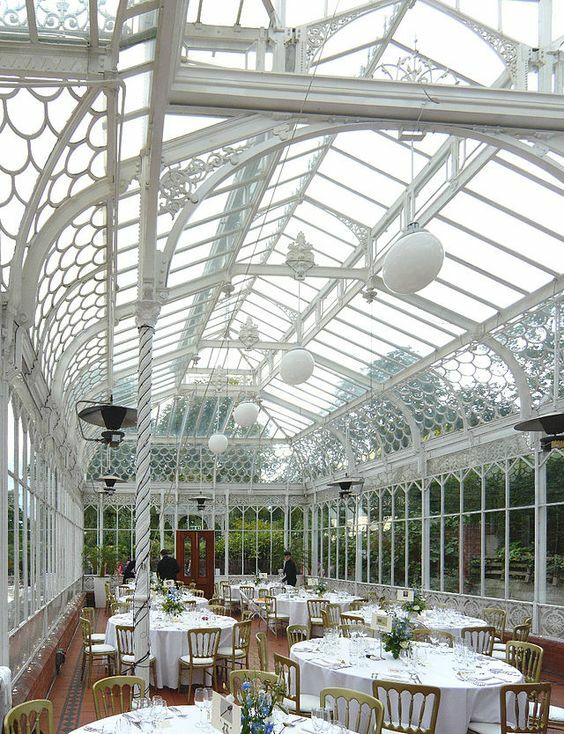 Glasshouses and conservatories emphasise the clean lines creating a geometric look whilst allowing natural light to shine through to bring the beauty of outside nature into the room whatever the time of year – fantastic for couples going for a minimalist style. Couples are looking for less traditional wedding venues and are steering more towards unique yet informal venues. Choosing open spaces that offer something different, like warehouses, with open brickwork, sloped ceilings and a blank canvas to make it their own. Venues such as the Truman Brewery and Studio Spaces in London, The Venue at the Royal Liver Building in Liverpool and Victoria Warehouse in Manchester are becoming increasingly popular among couples wanting something a little different. 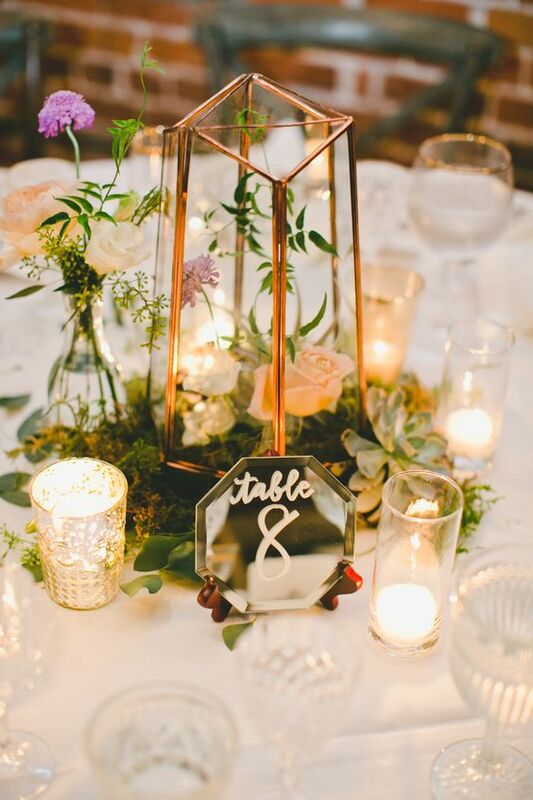 To make tables more simplistic with understated centrepieces use block coloured vessels or a collection of vases, or hanging hoops to iterate geometric shapes through your table decor. Think long and low rather than tall table arrangements to create a natural woodland feel enhanced with a punch of colour to carry out the theme throughout the day. 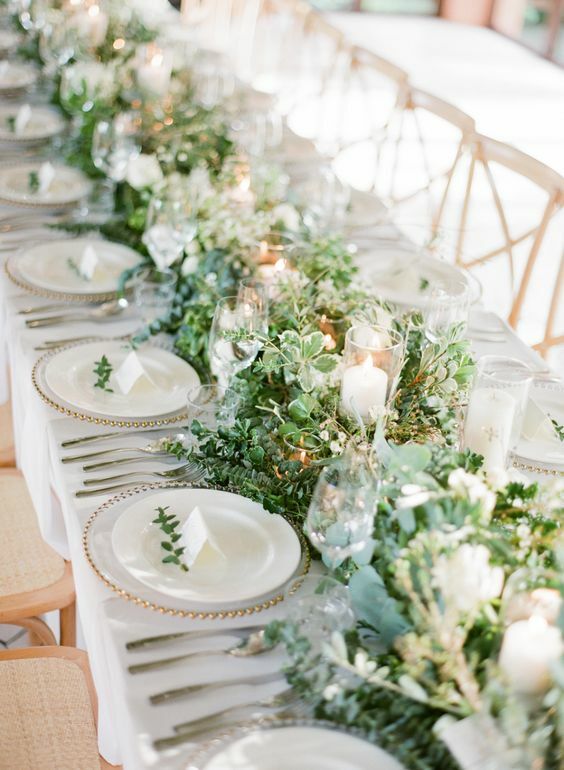 An abundance of greenery to complement architectural florals will be eye-catching or join the latest trend of a foliage-only wedding. In 2018 our couples will be looking to add the wow-factor to every aspect of their wedding and the bar is no different. For weddings this year you will see an increase in bespoke bars, serving up speciality cocktails or an extensive selection gins sourced from London’s thriving gin distillery scene. The originality of the 2018 Pantone colour being ultra violet is an intriguing and creative tone mixing warm and cool temperatures, a colour which will be suited to any season throughout the year. Ultra violet being a particularly bold shade, small yet effective bursts of it creates a feel of royalty and wealth; very significant considering the latest royal wedding falling in 2018. Ultra violet pairs extremely well with the greenery of 2017’s Pantone as well as 2018’s move to a great use of foliage and greenery which can be complemented well with shots of ultra violet florals. The by many other different colours to portray different personalities. A couple’s personalities can be portrayed through the stationery they choose, from traditional paper to printing on Perspex, your stationery allows you to give your guests a hint of the wedding theme and takes them through a journey right from the save the date cards sent out at the beginning to the thank you cards at the end. In 2018 we will see couples getting more adventurous with the use of materials use for their stationary thinking beyond paper and using natural elements such as wood, slate and stone to print onto, decorated with pressed flowers to replace illustrations. Vogue’s fashion experts suggest ‘fringing’ in 2018. 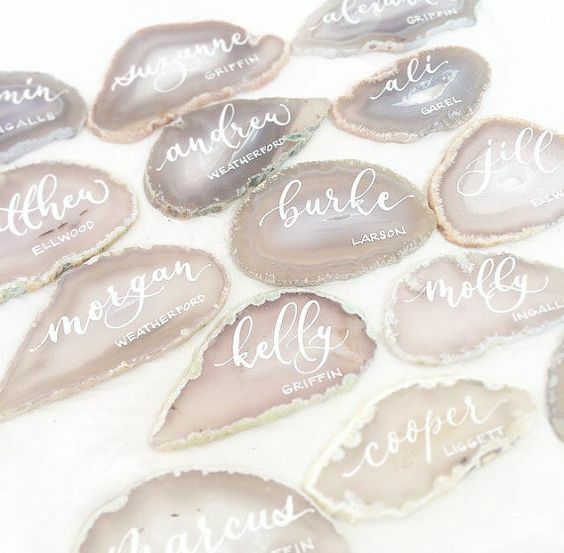 These can be used for adding a sense of playfulness and fun from custom stationery and table favours to decoration and photography props. In 2018 we’ll see more of our happy couples move away from the classic three-course wedding breakfast and towards more informal catering styles such as sharing platters and food stations with live chefs. Food trucks for evening snacks are always a huge hit, creating a more interactive and sociable experience for guests in a relaxed and original way. Not only will couples look for less traditional and more social styles of dinning but they will also look to incorporate more international styles and cuisines such as the ‘en vogue’ tacos, oysters, ceviche and sushi. One wedding trend we don’t see disappearing any time soon is doughnuts! Having proved a huge hit in 2017, more and more of our couples are requesting the Instagram friendly and delectable doughnut walls. 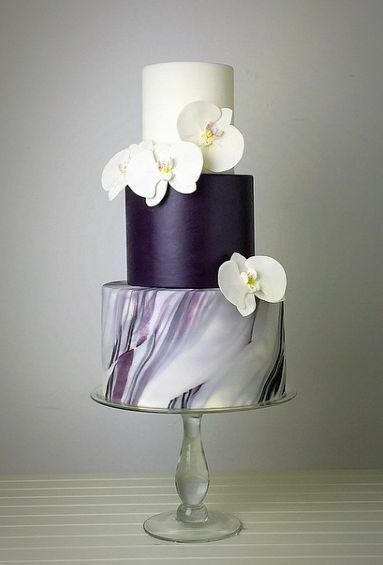 2017 brought us the agate wedding cakes and in 2018 we will see couples continuing to embrace more alternative designs with marble effects and rare textures. These bring a modern twist to the traditional wedding cake shape. 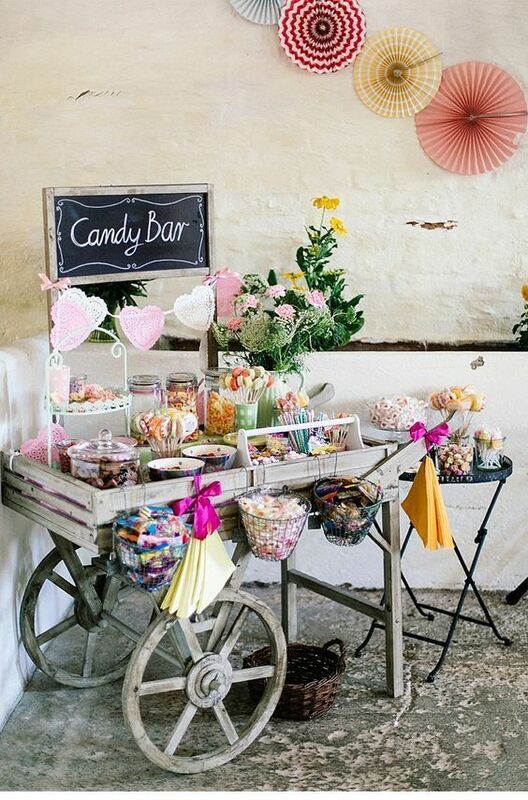 At Create we also see dessert tables becoming more popular with couples using this to replace the wedding cake or using the wedding cake as a centrepiece. Either way, it’s a sweet tooth’s dream come true. Some say that a brides dress dictates the entire style of a wedding and 2018 we’ll see more brides choosing Bohemian-style wedding dresses which fits in perfectly with the less formal weddings we’ll be catering this year. Floaty fabrics and intricate lace details suggests elegance and romance, bringing traditional elements to a simple modern gown. These stylish yet sophisticated dresses will be complimented with minimal make-up to create a natural and glowing look, brightened up with a bold lipstick. Couples are always searching for fun ways to entertain their guests and make their day more memorable. We all know that everyone LOVES a photo booth and these won’t be disappearing in 2018. 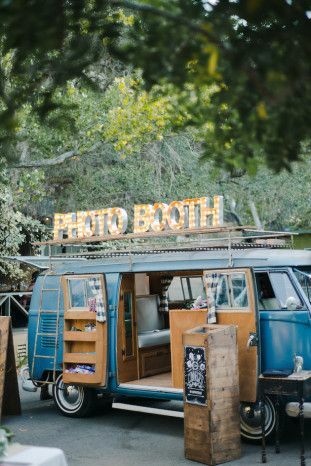 However, this year we’ll see couples embracing more creative photo booths including the camper vans and caravans. 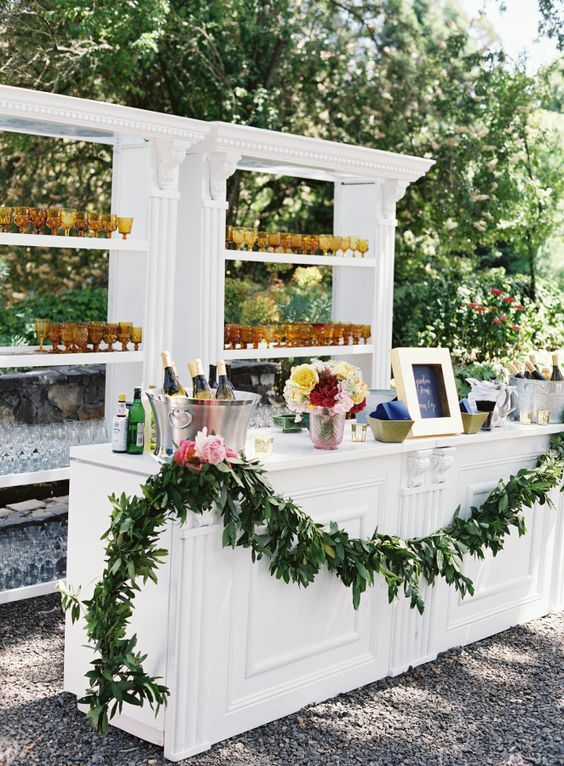 Alternatively, we’ll see lots of custom made booths using florals or theatrical props. For further inspiration, you can view our full 2018 Wedding Trends Pinterest Board below. Have we missed anything off? Let us know what you think the wedding trends for 2018 are. Find out more about our weddings here or get in touch to see what we could do for your special day.